The different people who colonized and immigrated to Australia brought their traditions with them. As part of the British Commonwealth, events in United Kingdom had an influence on Australia. The passing of Kings and Queens in England, Royal Jubilees and birthdays have all been part of the celebrations of Australia. After Queen Victoria’s death, there was a half day holiday called Empire Day it is the forerunner of the Queen’s Birthday Public Holiday. Newcastle has a proud tradition of celebrating anniversaries such as the Centenary Celebrations of 1897; celebrating the "discovery" of Newcastle by Lieutenant Shortland. For this celebration, triumphal arches were built on Hunter Street. The most impressive was that built by the Newcastle Coal-Mining Company at the intersection of Hunter Street West and Burwood (see image on right). It was made of 70 tons of coal and was large enough for a car to pass through. "THE TRIUMPHAL ARCHES." The Sydney Morning Herald (NSW : 1842 - 1954) 17 Sep 1897: 5. Web. 4 Sep 2013 <http://nla.gov.au/nla.news-article14106108>. 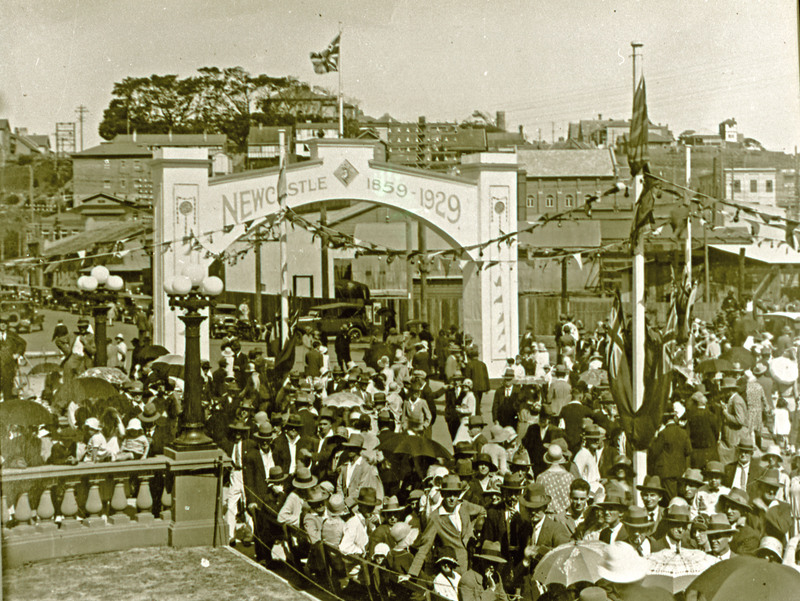 Celebrations for 70 years of Newcastle Council at the Town Hall, Newcastle, NSW, 1929. From the Bert Lovett/Norm Barney Collection, University of Newcastle, Cultual Collections. 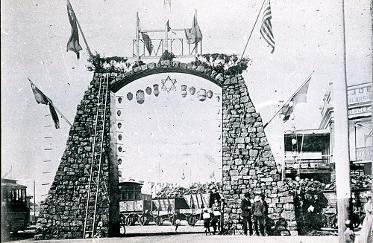 Newcastle Coal Mining Company coal arch for Newcastle centenary celebrations, Burwood and Hunter Streets Newcastle, NSW, 11 September 1897. From the Bert Lovett/Norm Barney Collection, University of Newcastle, Cultual Collections.